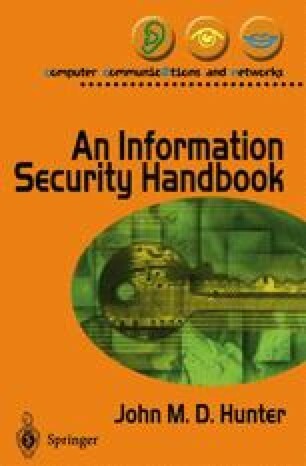 This book began life as a simplified guide to the United Kingdom government security guidelines for the protection of information systems. This guide was used as a text for third year and post-graduate courses at the Royal Military College of Science where a large proportion of the students are either in the armed forces or in government service. Most of these guidelines are entirely appropriate for conventional commercial systems. Some of them are not and are specific to government systems and national security. It is hoped that the inappropriate bits have all been removed.